Welcome back to Fitness Friday! I took a commercial break last week to share a fun gift guide: 12 Gifts Under $20 For Her, but I’m excited to be back with a topic I am super crazy about! Smoothies are an incredible way to pack a ton of nutrients you should be eating into one frothy, delicious, meal in a cup. 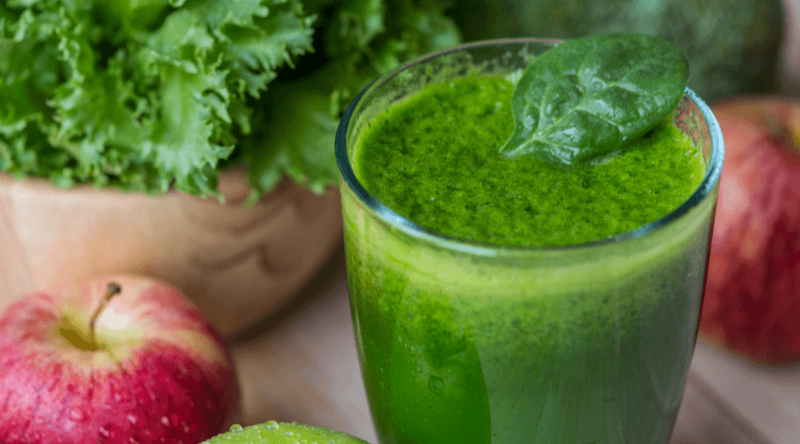 The difference between a superfood smoothie and a regular smoothie is that a superfood smoothie is healthier and hopefully chock full of all kinds of ingredients that will help you reach your desired health goal. In fact, here’s a great article on the 16 Superfoods That Are Worthy of the Title. Superfood smoothies can be customized to meet a specific need you have, such as weight loss, weight gain, glowing skin and hair, fight inflammation or encourage healing from injury, and more. 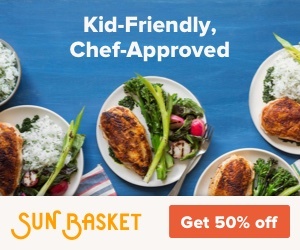 And, good news, most of these are kid-friendly, too, so you can pat yourself on the back for supercharging your kids health and immune system with a mother load of antioxidants. Go you. It may seem simple – just throw a bunch of food in the blender and mix. 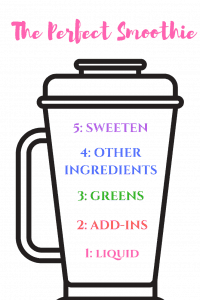 But, once you get started, you’ll see that there is a little finesse required to making the perfect superfood smoothie that you (and your kids) will actually drink. If you’ve ever added a little too much turmeric or hemp seeds, you know what I’m talking about. This is not the time to go rogue. Especially is you’re a smoothie newbie. Start with a plan, friends. Eventually, you’ll be able to riff a little with your ingredients – but the perfect smoothie takes a little practice. There are a lot of options here, based on price point and what works best for you. This blender, for example, makes one big smoothie, comes with a cool mini-ice cube tray, and has great reviews on Amazon! Personally, I have this blender. It’s pricey, so I asked for it as a gift. That was a brilliant idea, because I use it pretty much every day, for everything from smoothies to blender pancakes #yum. Also, I am a real stickler for smooth, even consistencies with my smoothies. So, there’s that. This one is a fan favorite, always has incredible reviews, and is currently on a crazy deal!! Great, now you have a blender. What’s next? It’s time to consider your goal for making a smoothie. What are you looking to achieve? 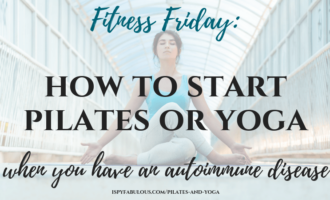 Let’s say you want to fight inflammation in your body, because you have an autoimmune disease, or because you have an injury, or because you’ve just felt off lately and want to give yourself a boost. I’ve written about inflammation before and how hard it can make it to lose weight – particularly if you suffer from an autoimmune disease. You can read that post here. Bottom line: it’s really important to reduce inflammation as much as you can – and how you eat plays a huge role in that. 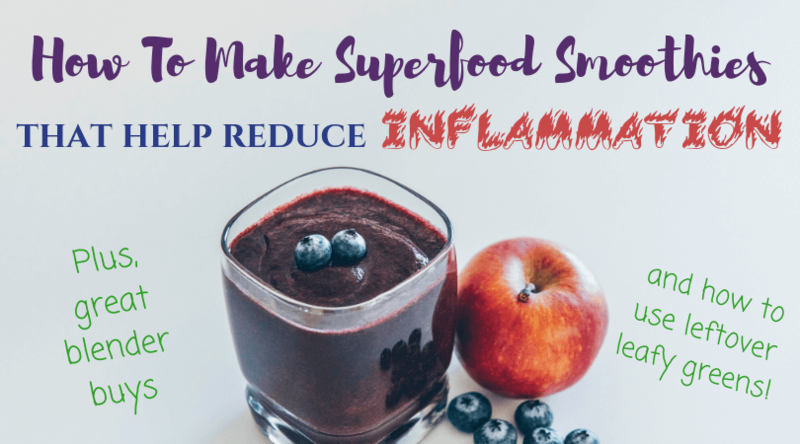 If you’d like to learn more about how to do that, this is one of the best articles I have found on how to eat to reduce inflammation in your body. So, now you can see that if you’re busy, or chasing small kiddos, etc., that it could be potentially difficult to get all of those things on your plate in a day. I feel you. The easiest way to know you’re getting all the good stuff in your body, so you can start feeling better. You’ll notice a theme as you start clicking through these. That’s because there is a good list of solid ingredients proven to fight inflammation, such as: greens, berries, turmeric, ginger, and more. The time has come. You have everything you need all set out like you’re the host of your own cooking show. And you’re going to make your superfood smoothie and it’s going to be DELICIOUS. After muuuuuuch practice with smoothie making, I have developed a fool-proof method for getting my smoothies perfectly smooth and well-mixed – every time. And, I’m going to tell you my secret: it all comes down to the order of your ingredients. Regardless of what ingredients you are using – this protocol will help you. Start with your liquids. How much is up to your preference and recipe. Some people like it so thick they need a spoon. For me, I like smoothies easily drinkable through a straw with no chunks. If you’re on my side of the fence – you’ll need at least 12 oz. of whatever liquid you’re using. Now is the time to put in the chia seeds, hemp seeds, veggie powder, protein powder, collagen with pea protein, spirulina, or whatever else you are doing to supercharge your smoothie. You’re going to blend your smoothie on low for about 20 seconds to let these all mix together. Then, let it sit while you get everything else ready. If you’re using greens, now is the time to blend them in. Some people throw them all in with the other ingredients on top – but again – I’m a huge stickler for smoooooth smoothies. I blend them up separately. When it looks nice and smooth and green, move on. Add the rest of your ingredients now. You may want to hold off on honey or sweeteners until the end, in case it is sweet enough for you. You’re done. Taste test to make sure you don’t need to add in a little honey or maple syrup. Or half a banana. Pour. Drink. Feel great. 4. Wait – Don’t Go! While you’re slirping your superfood powerhouse – take the time to decide what you’ll do with the leftovers. For example, leftover banana can be frozen in bags to make your next smoothie extra delicious. 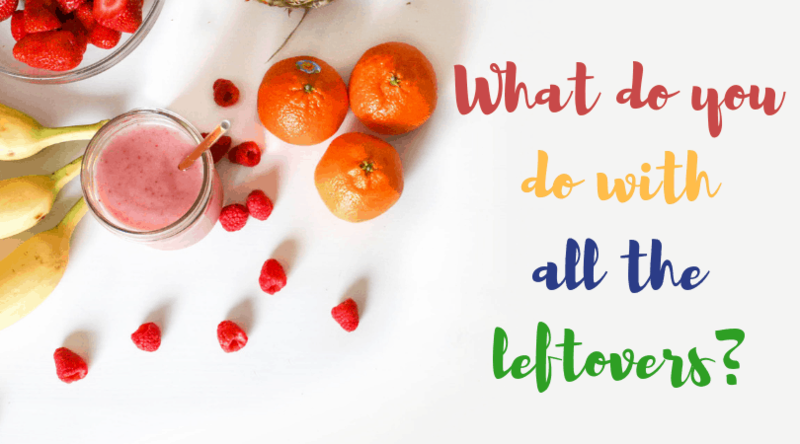 You can even get super organized and divide up the ingredients into separate servings for quick smoothie making – like How Sweet Eats does in this post. Another way to save those leafy greens, since they spoil super fast – is to take what is left and turn it into ice cubes! WHAT?!?! Leafy Green Ice Cubes? I know, this is a total gamechanger, folks. A TOTAL gamechanger. But, I learned this years ago after several bags of spinach went rancid before I could use it up. You really don’t need a recipe for this – just throw in the greens you have left, add a little water or coconut water, blend. Pour into silicone ice cube trays for easy removal and freeze. Once they’re frozen, you can take them out and put them in little ziploc bags if you like. Or, another one from Ninja Kitchen. Bom-diggity. You just made the perfect smoothie. How excited are you? Cheers, dahling, you’re about to show your health who’s boss. (Hint: it’s you. You’re the boss). I would love to go into more detail on any of these things if you are interested or have questions. Just let me know in the comments below. We’re all friends here, this is a safe space. Want to SAVE or PRINT this post? CLICK HERE to download this post as a PDF! 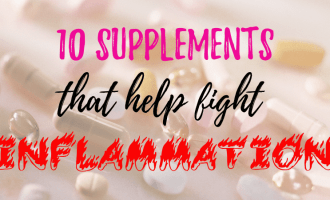 Friday Fitness: 10 Supplements That Fight Inflammation! 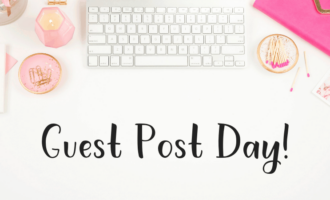 Guest Post Day! Hip Hip Hooray! 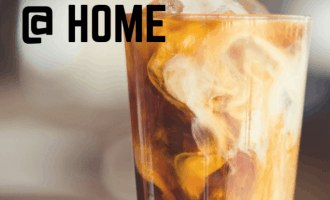 How to Make Easy, Delicious Cold Brew Coffee at Home! Join the I Spy RSS Feed! Amazon Fashion Finds for Women! 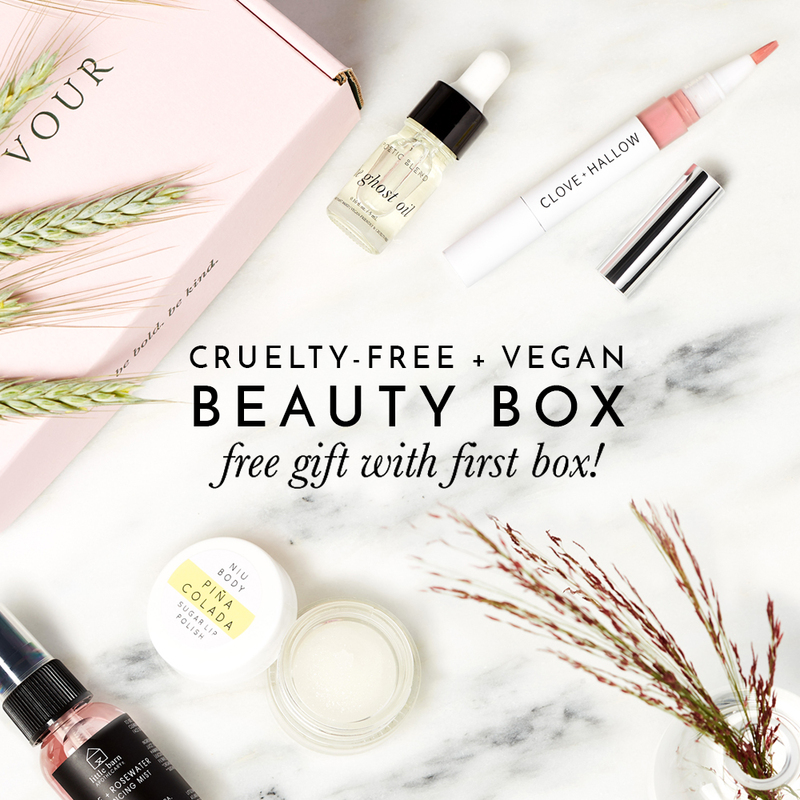 Save Big on The Must-Have Vegan & Cruelty Free Beauty Box! 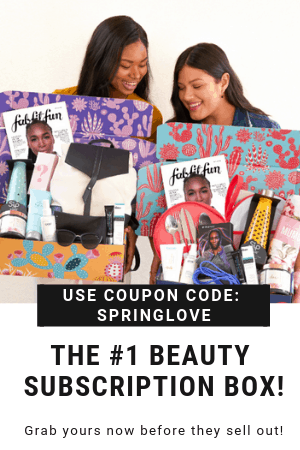 ​I am a participant in the Amazon Services LLC Associates Program, an affiliate advertising program designed to provide a means to earn fees by linking to amazon.com and affiliated sites. You can read more on my DISCLOSURE page.